Zuri brings to you 5 useful tips on how to apply smudge-free kajal. This summer, impress the crowd with your sensual eyes! Kajal has been one of the key makeup products to accentuate the eyes for generations in a row. Just a single stroke and your eyes are transformed into a smoky ocean. I know I’m sounding poetic, but that’s the beauty of this magic wand called kajal, that it makes the most unflattering eyes worthy of inspiring poetry. But it can also go on to make you look gruesome and hideous, in case the kajal smudges. So, Zuri brings to you 5 useful tips to smudge proof your kajal, to keep the sensuality of your eyes intact. 1. Shop for a smudge proof kajal: Choosing your kajal wisely can go a long way in making it stay put. So whether it’s a pencil or stick one, go for a smudge proof, long wear kajal. There are a whole lot of brands offering water proof kajals that claim to last upto 10 hours after application, with Maybelline Colossal Kajal being my personal favorite. It comes with a smudge free 12 hours formula with the deepest black pigments. The retractable pencil is precise and glides smoothly to give you a perfect finish. 2. Steer clear of any oil build up around the eyes: Always apply kajal to a washed, clean face. The idea is to make sure that the skin around your eyes is oil and shine free. Most of the times, it’s not the kajal that smears, but your oily skin that causes the kajal to spread and smudge. But a simple trick can come to your rescue. 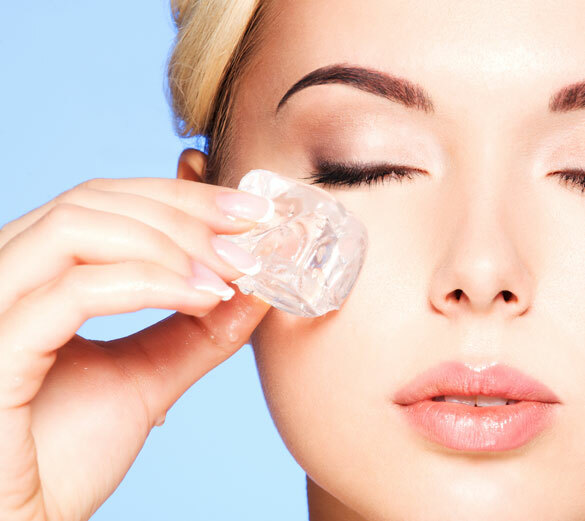 Rub an ice cube around your eye before you apply kajal and let it air dry. This will help you get rid of any oil buildup that can later cause your kajal to run. 3. Prep your eyes: Make sure that you prep your eyes before applying kajal. Just glide on an eye primer on the lower lash line and outer corners. This will provide a base for the kajal to cling on to, making it stay where it belongs. The same applies to your eyelids as well. 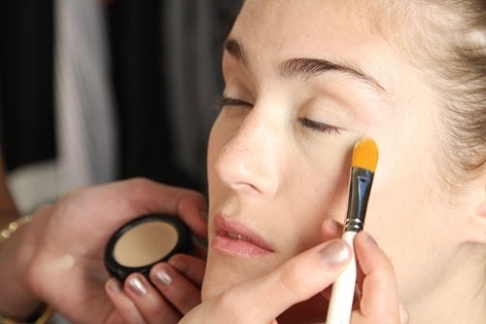 Use an eye primer on your lids to minimize creasing and make your eye shadow last longer. 4. Set with black eye shadow: Another simple tip to avoid the dreaded raccoon eyes is to set your kajal with a black eye shadow. Once you’ve applied your kajal, use a round tip-brush to set black eye shadow on top of it. The powder formula of the eye shadow not only absorbs all the moisture along the waterline and keeps your kajal from spreading and smudging but also intensifies the color of your kajal, accentuating your eyes even further. Don’t forget to dab on some compact on your under eye area. This works on the same principle as your black eye shadow wherein the powder compact absorbs the oil and moisture from under your eye, thereby preventing your kajal from sliding and smearing. 5. Keep some cotton buds handy: There is no denying the fact that we can minimize kajal smudging but cannot eliminate it completely. And if all hell breaks loose and you’ve ended up with smudged kajal looking like a panda, a tool as simple as a cotton bud can come in handy. Wipe the smudge off your eyes with a gentle stroke of a cotton bud and get back to looking dainty again.